Due to rapid snow loss and the base of our hill turning into a large water pool, we are sad to announce we have had to cancel our finale weekend! Thanks to all who came out to volunteer and use our facilities during this difficult year weather wise. We are happy to announce that the Lloydminster Border City Optimist Club is once again sponsoring a Kids Ski Day. 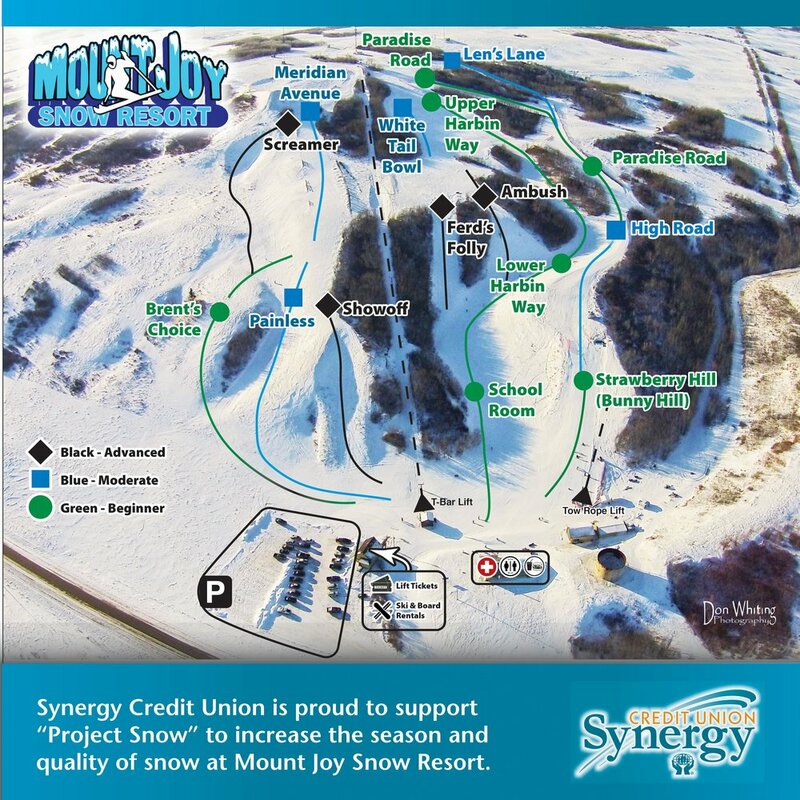 The first 100 children (16 and under) will receive free lift tickets for the day Sunday March 17, 2019. We are also offering free ski and snowboard lessons for children who have never experienced skiing before. Two sessions are available; 10:30 am and 2:00 pm for the one hour class. Each class will hold a maximum 10 participants for each ski and snowboard group. Please email info@mountjoy.ca to register! Spend your Birthday with us! Its never to early or late to learn to ski or snowboard! Interested in joining our fun school to assist you in developing your skills?